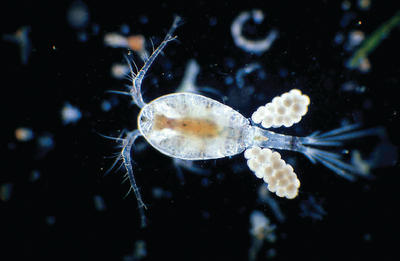 The culture supplied includes copepods in various stages of development. Cyclops or similar genus. Copepods molt numerous times in the nauplius and copepodid stages before reaching adulthood.